This week I wanted to share my video review of the new One Drop blood glucose meter. 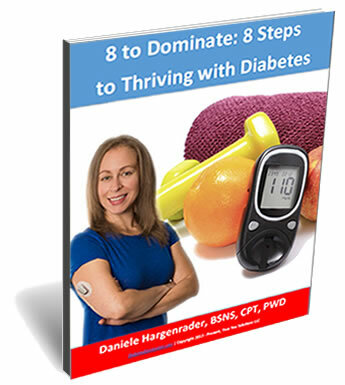 Knowing what options we have available to us allows us to make more empowered decisions about our diabetes management practices, and I like to vet new products for you and give you my opinion on them in hopes that it helps you make more informed and confident decisions! One Drop is a subscription service with different levels you get to customize, and all of them include unlimited test strips each month customizable to how much you check, which is a great option for anyone who has high co-pays or doesn’t have insurance currently in the USA. It also has an intuitive app that allows you to visually track all of your data, including food, medications, exercise, and blood glucose readings all in the same graph so you have more info around each reading. UPDATE: One Drop has resolved the case issue and sent me a replacement case that is much more secure! My meter wasn’t connected to the latest version of the One Drop app when I shot this video (I’m an upgrade procrastinator), but now that it is, my BG readings sync automatically with the app and I don’t have to enter them manually! The app also has Apple Health integration and automatically pulls all of your Dexcom data in. No codes or cords necessary! Just enable Apple Health on Dexcom & One Drop and you’re good to go. One Drop also pulls in data from tons of other apps, including MyFitnessPal, Strava, Runtastic, etc… Everything is automated and you rarely have to manually enter anything. Learn more HERE. Lastly, about 2 months ago, One Drop launched a couple new subscription plans and products. You can get all the strips you need (depending on how much you check) for as low as $13/month. You can see all of the subscription options HERE. Hope this helps you make a more informed decision about your own personal diabetes management choices!